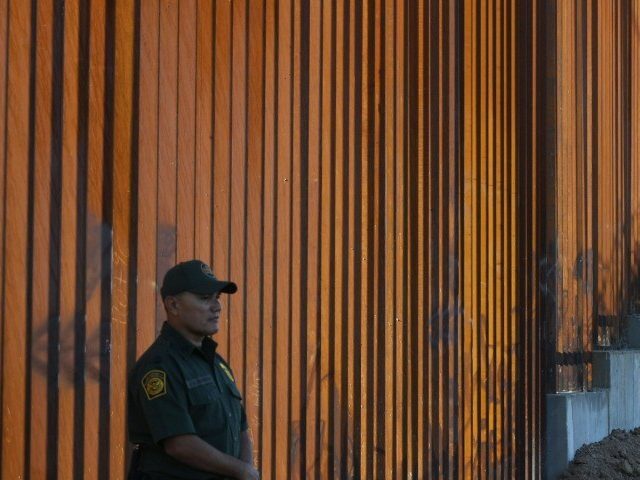 Eight Guatemalan migrants were rescued from the top of a border wall near Mexicali, Baja California, Wednesday after they attempted to scale the barrier. The migrants, consisting for four adults with four children, were rescued by the Mexicali fire department after authorities received a call regarding a group of people stuck in a tree near the U.S. border, according to local reporting. They were identified as Raquel Agusto Hernández Sánchez, 44; her son Raquel Omar Hernández López, 10; Sarahi Ávila Santos, 34; María Sofia Simón Ávila, 9 months; José Rolando Mucu Xol, 32; Ervin Daniel Mucu Cacao, 12; Julia Josefina Xol Pop, 32; and Anderson Jonathan Cuz Xol, 13. The migrants attempted the illegal crossing at Avenida Colón and Río Sinaloa y Río Mocorito Street by using a tree for cover. They were stuck for approximately two hours before police and firemen arrived with a ladder. The 9-month old was transported to a local hospital for treatment due to cold exposure. The rest received medical evacuation and the children were transported to the DIF (The National System for Integral Family Development). The adults were held at a detention center in Zona Central. The temperatures in Mexicali dipped to 35 degrees Fahrenheit that night.